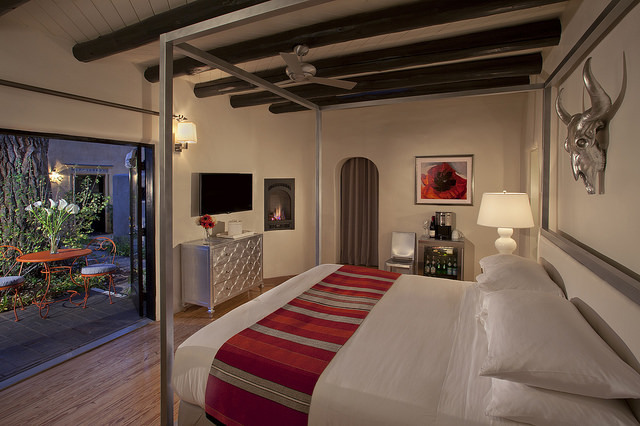 Where Montoya Street meets Los Pandos, behind an unassuming wall, a gem of a boutique hotel is hidden from plain view. Behind those walls lies an exquisitely renovated property owned by Heritage Hotels and Resorts, the Palacio de Marquesa (formerly Casa de Las Chimeneas). 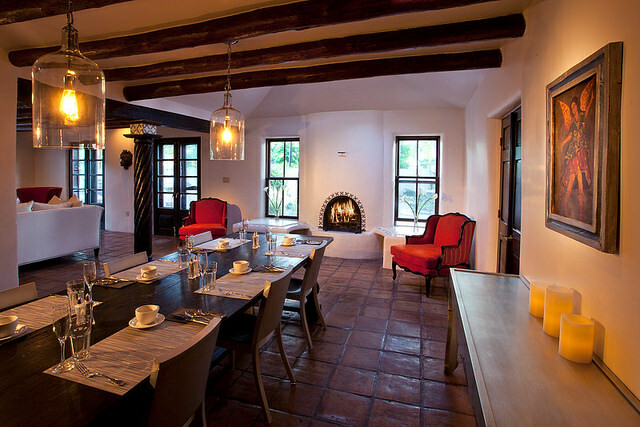 This lovely and very elegant hotel runs like an upscale B&B, and the breakfasts are said to be superb. 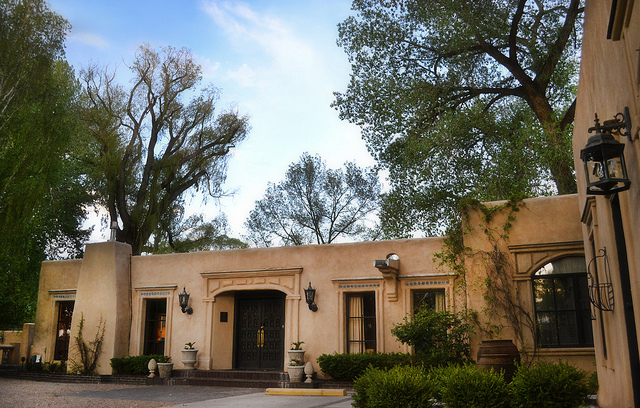 The Palacio de Marquesa (in collaboration with the Harwood Museum) pays homage to the legendary and remarkable women who have historically impacted and influenced Taos. 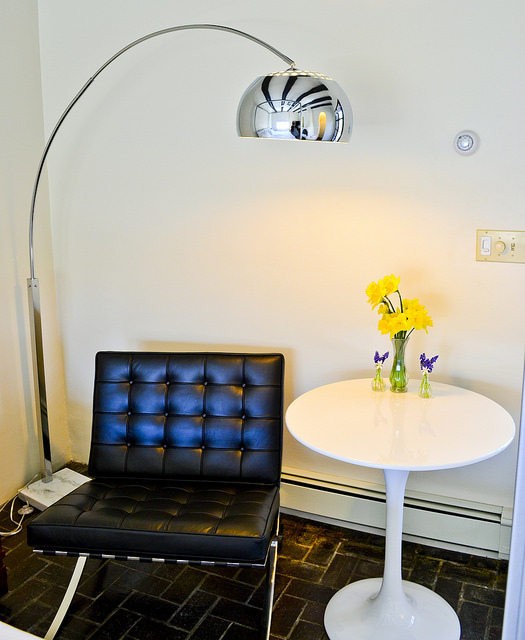 The independent spirit and contributions of those women is represented in each of the hotel’s rooms, designed with their unique attributes in mind. 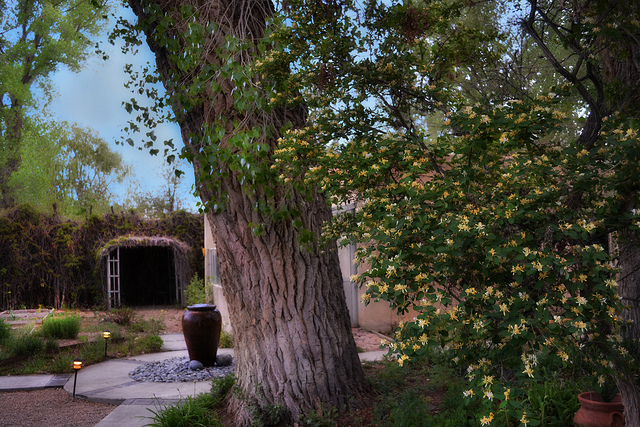 Asia Golden (who worked at the Harwood), the Palacio de Marquesa’s beautiful and charming manager, has been in Taos for many years and is a fabulous addition to this inn. Asia knows Taos well and you could not be in better, more informed hands. 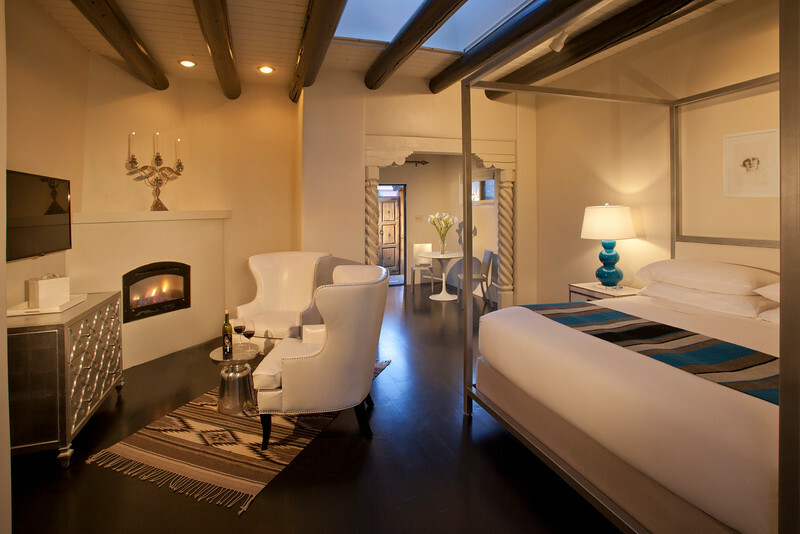 Beautifully appointed rooms feature furniture designed and made in Taos along with modern classics. 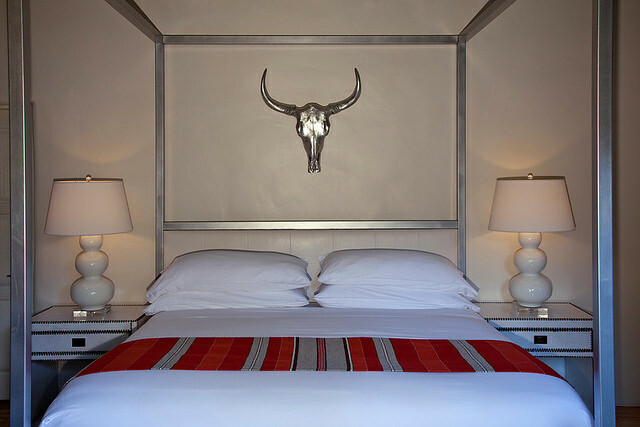 Weavings from Chimayo and Italian linens on the beds are not the only thoughtful details. 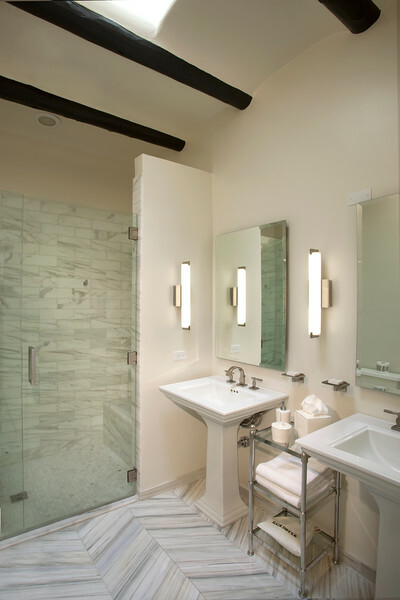 The pristine marble bathrooms are stocked with luxury toiletries and thick, fluffy towels. The Palacio de Marquesa, although right in town, feels far removed from the fray, and is quiet, exclusive and very private. The Hotel plans to add a spa and more in the coming year so do check their site for updates often. 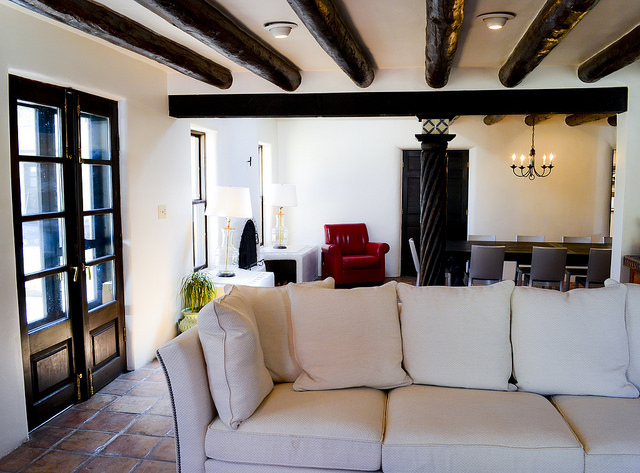 Conveniently located near Taos Plaza, this boutique inn offers a gourmet, made to order breakfast in their community dining room, or delivered to your room as prefered. They offer a Local Treasures Discount Coupon Card – 15% off the best local businesses, pet-friendly accommodations and spa services are available upon request. 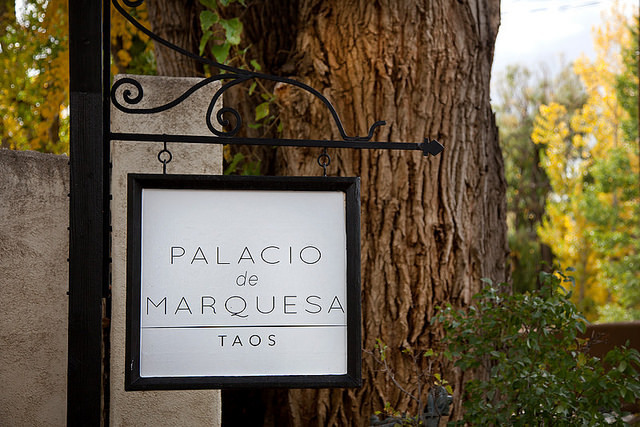 For rates, bookings and much more information about the Palacio de Marquesa, please visit their website linked below this post.